A new version of the extremely popular jRPG game, which debuted in the West in 2017 on PlayStation 4 and PlayStation 3. The title was officially announced in March 2019. A classic dungeon crawler with a turn-based combat system, developed for the 3DS portable console. The game is the second (after Persona Q: Shadow of the Labyrinth) spin-off of the popular series of Japanese role-playing games developed by Atlus. The protagonists of Persona Q2 are the cast of Persona 5 from 2016. The game utilizes gameplay mechanics and principles of the Etrian Odyssey series. It is a typical dungeon crawler in which the player is traveling through a series of dark labyrinths while observing the action from a first-person perspective. The player’s party can consist of up to five characters, each of which has unique skills and attacks, taken from the main entries in the Persona series. The battles are conducted in a turn-based system, on a separate screen. The game features one of the characteristic options of the Etrian Odyssey series – the possibility for the player to manually draw maps and dungeons to explore. The fifth entry in a popular jRPG series and a part of the Shin Megami Tensei series, started in 1987. As always, the developing studio is Atlus, which created the series. 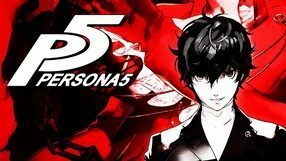 The plot of Shin Megami Tensei: Persona 5 revolves around the theme of seven cardinal sins and puts us in the role of an ordinary high school student, who discovers supernatural powers in himself. The protagonist lead a normal teenager’s life during the day, solving typical school problems and interacting with schoolmates, while at night he turns into a superhero, engaging in a deadly fight against evil. In terms of game mechanics, the production follows in its predecessors' footsteps, combining features of classic jRPG games and their turn-based combat with elements of school life simulator and the, popular in Japan, visual novel genre. Graphics have been created using a new, original engine and feature a dark, though cartoonish, style. First installment of the popular jRPG Shin Megami Tensei series: Persona addressed to the Nintendo 3DS portable console. Players have the opportunity to learn more about the adventures of the heroes of Persona 3 and Persona 4, this time presented in the form of the classic dungeon-crawler. The title development is the responsibility of Atlus' internal studio - Persona Team. Refreshed and extended conversion of one of the best jRPGs ever released on PlayStation 2. The number of available heroes, gameplay mechanics, audio frame and intermittent videos have increased. Shin Megami Tensei: Persona 2: Eternal Punishment is a jRPG port for PlayStation Portable users. The title was originally published on Playstation in 2000. Guided by the actions of a brave journalist, players try to unravel the mystery of a series of murders. Shin Megami Tensei: Persona 2: Innocent Sin is a jRPG port for PlayStation Portable users. The title was originally published on Playstation in 1999. As a high school student from Sumar City, players have to stop a powerful demon brought into the human world. Shin Megami Tensei: Persona is the port of the first part of a popular series of Japanese cRPG games that was originally released in 1996. The title belongs to the so-called dungeon crawler species, which partially distinguishes it from the rest of the cycle. Shin Megami Tensei: Persona 4 is another part of the Japanese cRPG series, created and released by Atlus. The game, which is longer, more complicated and intriguing than the previous versions of the series, throws us into the rural landscapes of Japan. Shin Megami Tensei: Persona 3 is a jRPG game. Player directs the actions of a teenage student gifted with the power to summon demons and fights against the threatening monsters led by Shadov.